Part of the Tasmanian Wilderness World Heritage Area, Cradle Mountain forms the northern end of Cradle Mountain – Lake St Clair National Park. It is one of the state’s most special destinations where the flora is rich and diverse … age-old pines border glacial lakes and icy streams flow down craggy mountains. 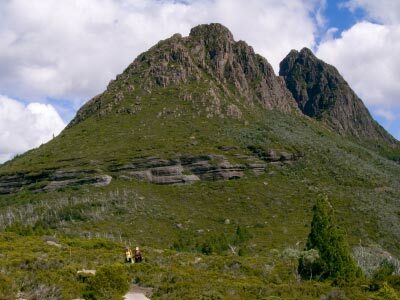 This wild landscape is a favourite for eager bushwalkers.